Hotel Jungle Camp offers a unique living experience to guests in comfortable tent houses. 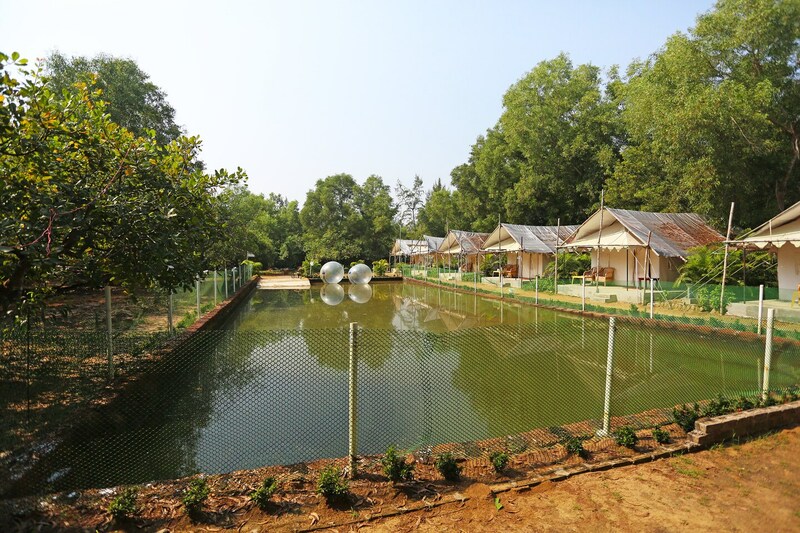 Each tent house is equipped with modern amenities such as AC,geyser,wooden furniture and a sturdy bed. Guests can take advantage of outdoor activities, including wall climbing and trampoline. The hotel allows guests to live close to nature since it lies close to the beach and Different temples such as Guru Mandir, Maha Bellesware Temple. Many shops and restaurants are located close by.